Gary Rikard assumed the position of Mississippi Department of Environmental Quality (MDEQ) Executive Director beginning September 1, 2014, after being appointed by Governor Phil Bryant in July, 2014. As MDEQ Executive Director, he manages a staff of more than 400 and a budget of over $250 million. MDEQ is responsible for protecting the state’s environment and administers most of the U. S. EPA programs, including air, water and waste management activities; monitors, models, and regulates water use; and functions as the state geological survey. In addition to his duties as Executive Director, Rikard serves as Mississippi’s Trustee for the Natural Resource Damage Assessment under the Oil Pollution Act and is tasked with leading Mississippi’s recovery from the Deepwater Horizon Oil Spill. Rikard, previously a partner with Butler Snow, LLP, has practiced environmental law since 1996, including serving as senior attorney at MDEQ from 1996-1998. His specialized legal experience included negotiating complex permitting and enforcement issues. Prior to earning his law degree, he worked as an environmental engineer at MDEQ, specializing in permitting and water quality compliance issues. Rikard is experienced in a wide array of state and federal environmental standards including the Clean Air Act, the Clean Water Act, the Resource Conservation and Recovery Act, the Mississippi Air and Water Pollution Control Law and the Mississippi Solid Waste Act. He served more than 22 years in the Mississippi National Guard, retiring with the rank of Major. During his service, he served as assistant staff judge advocate, acting as the primary legal officer for environmental matters. 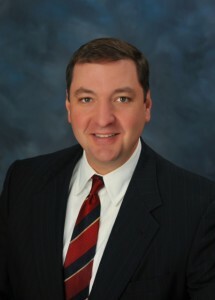 Rikard earned a bachelor’s degree in civil engineering from Christian Brothers University, completed graduate studies in environmental engineering at the University of Mississippi School of Engineering, and holds a juris doctor degree from the University of Mississippi School of Law. He is a native of DeSoto County and, along with his wife Karen and their daughter Laura, resides in Madison.